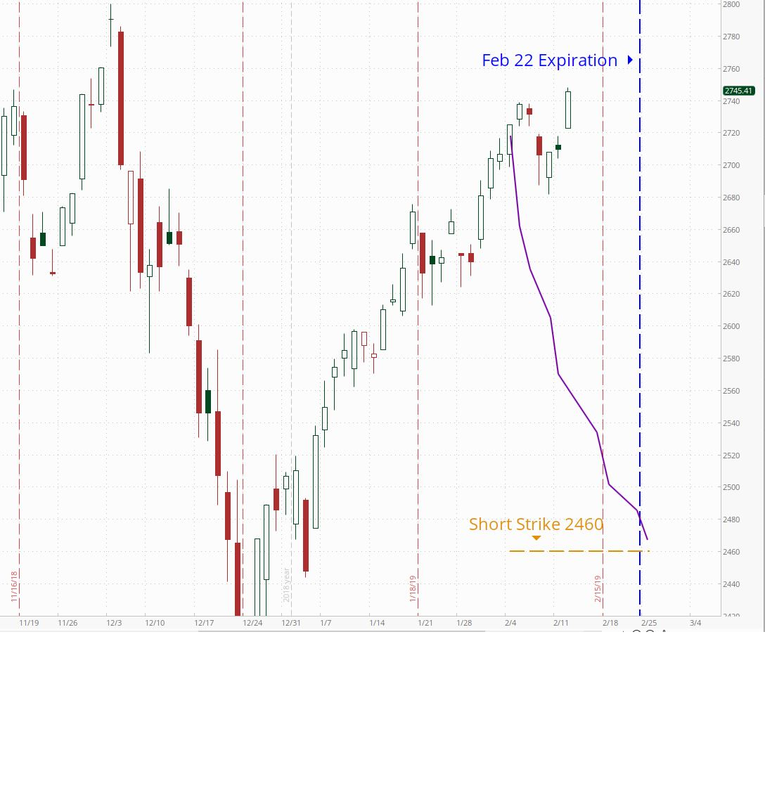 With only 7 trading days and 10 calendar days (including Presidents Day) to go until expiration day the underlying S&P 500 Index remains firmly above both the short 2460 strike price and purple defensive posture line. As always, when we sell volatility premium, we benefit from time decay. The market is currently above where it was at entry which is positive. Another positive aspect of this trade is the decay in premium as time has ticked away as well as the drop-in volatility. While the market has been essentially trending sideways since entry, your clients have seen some positive movement in the reduction in value of the spread position. Moving forward, you would be rooting for much of the same up through expiration day. We’ll come back with a longer update next time but for now we’ll keep this short and sweet.